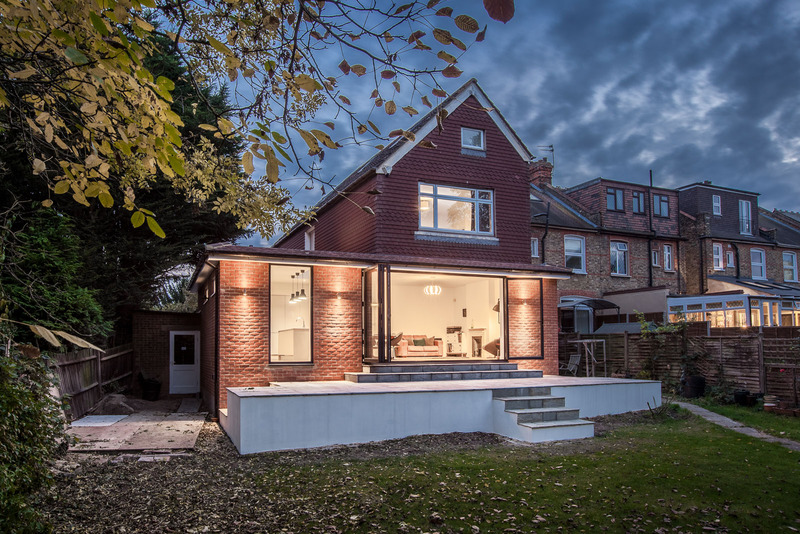 Kelly and her family commissioned J Build to construct a single storey rear and side extension to their house in New Malden. They added a kitchen/diner and an additional cloakroom/lobby to the property. The old kitchen was converted into a utility room. 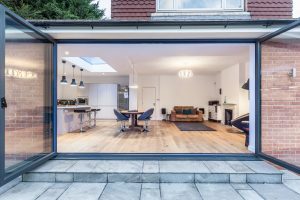 Kelly and her family live in a spacious house in New Malden. Having already added a loft conversion, the bedroom accommodation was adequate but they were not really happy with the size of their kitchen and dining room. 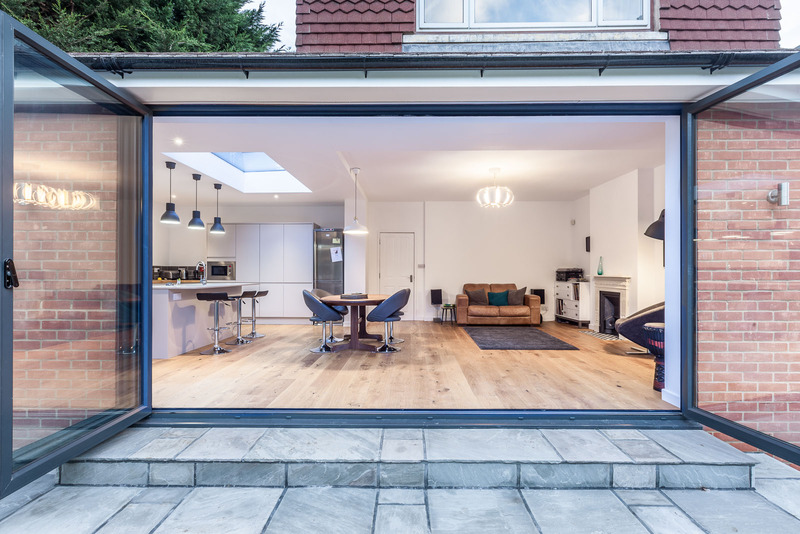 Kelly was recommended to J Build by Tim, having successfully delivered his rear extension project in Hampton Wick. Kelly had her planning permission approved and her structural engineering drawings were ready, but she needed a builder to deliver the project. 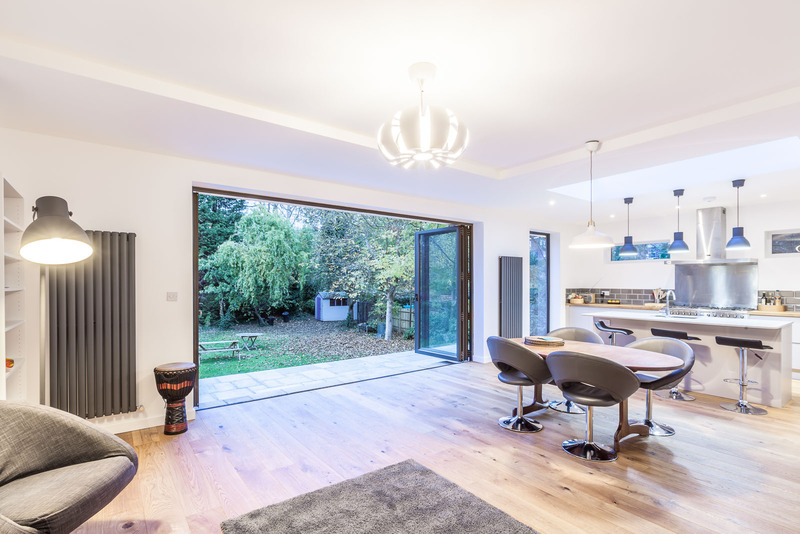 J Build were commissioned to construct a single storey rear and side extension to provide a large, modern, open plan kitchen/dining/living space. 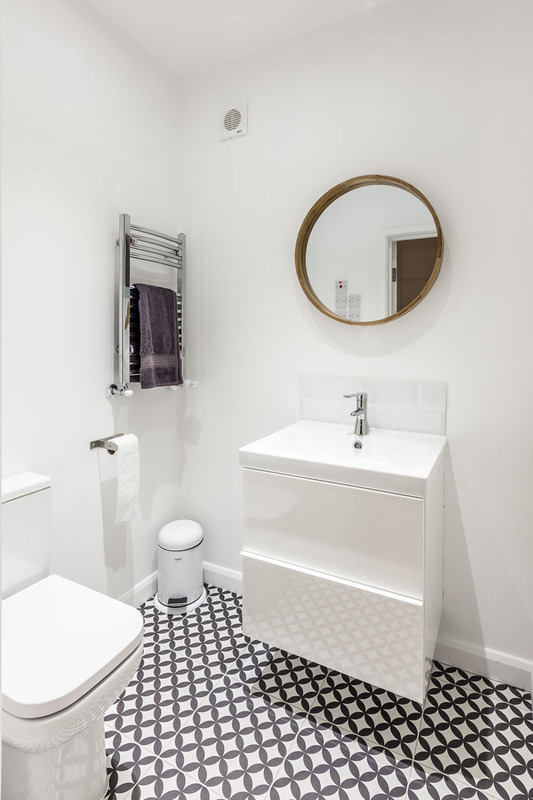 A new utility room was installed in the small, old kitchen area and a new main entrance lobby and cloak room were built to the side of the property too. Externally the existing garage area received a new roof covering and the patio to the rear was also given a new lease of life. Now they have plenty of room in the extension and Kelly has thrown some big parties to make full use of the new space.